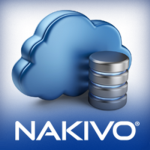 Active Directory object recovery is the Nakivo’s feature that starting from a “simple” VM backup is able to recover Active directory objects. The only prerequisite is the licensing level: only Pro Essentials and Enterprise Essentials edition are supporting this kind of restore (just check here prices and features). In this post I’ll show how to restore AD objects inside my Windwos 2012 Primary Domain Controller. The whole environment reside in a single physical host with two nested hosts. 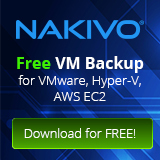 To avoid inefficient overheads and to separate backup solution form production environment, I deployed Nakivo Appliance directly into the physical host. On my Active Directory domain called linoproject.lan, is living the user Lino Telera. I will use this element to test this recovery feature. 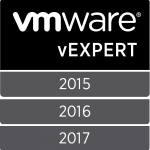 In order to protect Active Directory elements inside the VM, it’s necessary create a simple backup job (I add also screenshot verification feature) and run the backup job. 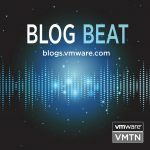 Since the backup process is the same for every workload running in the virtual infrastructure, the granular restore is what makes the difference for every virtual machines. In fact the core of the AD object restore resides into the archived data that could be used to extract single elements contained from the saved vmdk. It’s time to restore a single AD user. Choose Download or Forward Item if you’ve configured a valid SMTP server. A zipped ldif file will be received in your client PC or MAC. 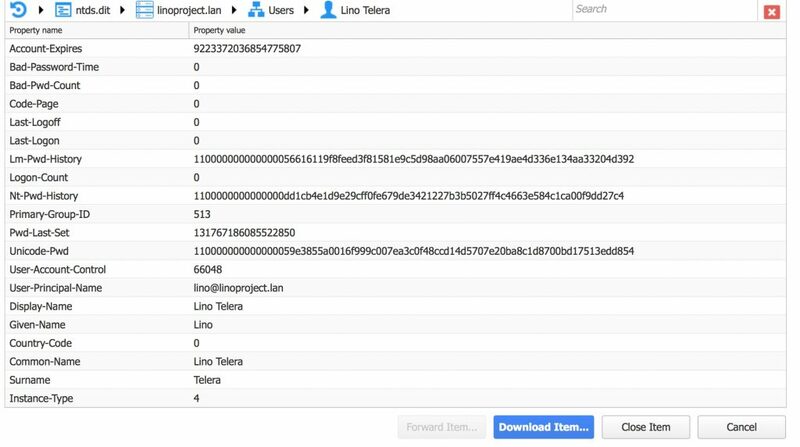 Where downloaded_file.ldif is the recovered file (a set of ldap instructions) and logfolder is the folder to store the log of the import to check warning and issues during the real restore process. 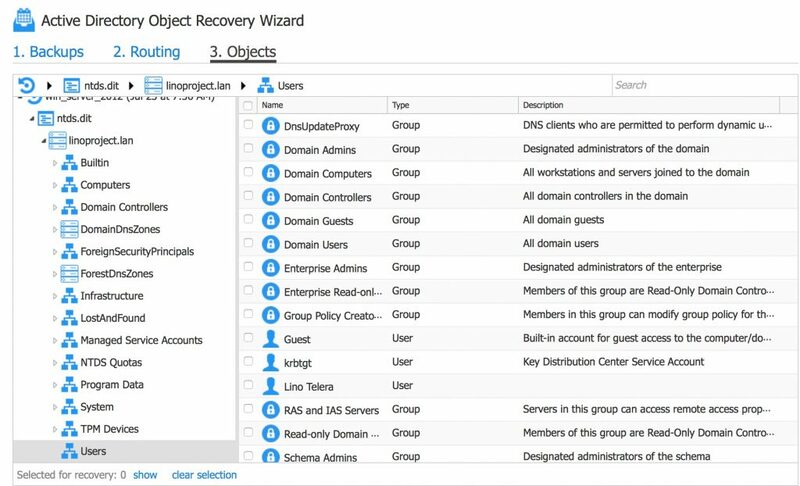 This feature is very useful to restore an accidentally deleted user/group in the AD without replacing the whole VM. Handling the restore by the downloaded (or forwarded) file give also the ability to make changes or move/transfer/replicate the elements into another environment.